If you are thinking of getting a laptop then there are a few things that you are going to have to learn to take care of. When taking care of a laptop, people usually only think about taking care of the laptop itself. 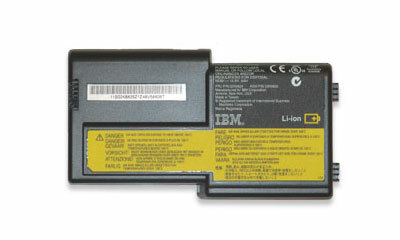 However, you also have to be able to take care of the laptop battery as well. This is the main life source of your computer. Without the battery it’s just a desktop that has to be plugged up to the wall to work. The great think about a laptop is that you can take it with you, however, to do that you have to have a battery that works. Keeping your battery working is not as hard as you would think. There are a few tips that you need to know, however, to make sure that you are treating the battery the way it is suppose to be treated. First of all, when you get the laptop for the first time do not use it until you charge the battery all the way. Sometimes this is hard for people to do because they just got a new laptop, and they want to use it right away. Of course, if you do not let it charge all the way first you may be hurting it. In fact, they show that batteries that are not allowed to charge the full way the first time, lose their charge up to four times faster. If you do not want to have to keep charging your battery every hour on the hour, you better charge that battery before it’s very first use. The next thing you need to know is true for just about any rechargeable battery. People start to see this a lot in their cell phones, but it happens in laptops as well. 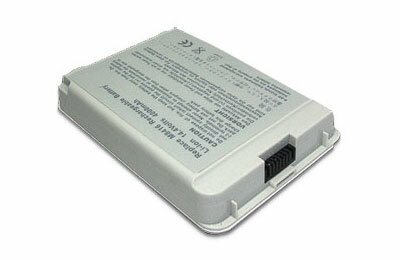 If your laptop battery does not need to be charged then do not charge it. In fact, you should wait until it is almost dead before charging it again. This goes for your cell phone too. Whenever you keep it plugged up all the time, the charge of the battery gets less and less. That means you have to charge it more. In fact, this is the reason why a lot of old laptops no longer hold a charge at all. Do not let yourself plug it up after every use. I know it’s hard to fight it, but you have to do what you have to do. After all, the laptop battery cost a lot. You do not want to have to go out and buy a new one every time you overcharge your battery. These are just a few tips that you can use to help make sure your laptop’s battery work great until the very end. Using these tips can save you from having to go out and buy a new laptop battery all the time. If you are using the laptop and have it plugged up then that is fine. However, if you are not using it, and leave it plugged up you could be asking for trouble. Never just leave your laptop plugged up overnight. Make sure that you only charge it when it needs to be charing. This way you can extend the life of your battery. Remember the battery is the life source of your computer, and you have to treat it with respect. By doing this you can rest assure that your computer is going to work great for a long time to come. Actually, this is not true. Lithium-ion batteries need frequent charges, and waiting for them to be “nearly dead” harms them a lot. This is way outdated and not relevent any more. As for me, I only recharge my laptop batteries when it run out. I believe it is the right way to take care of my battery!